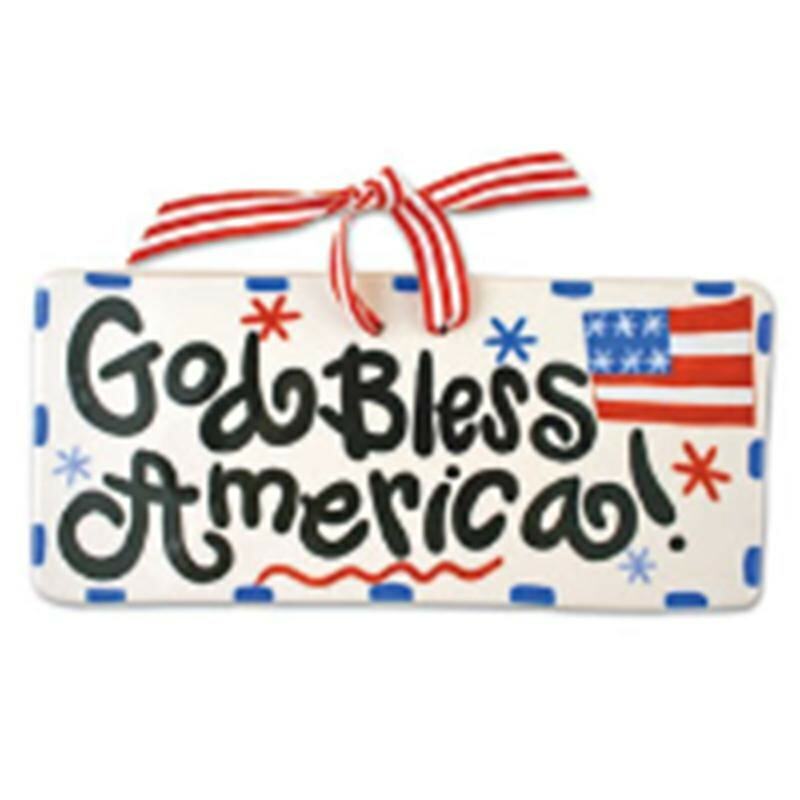 Flag Door Plaque. 10 inches. Red, White and Blue. Ceramic. Ribbon Hanger. Can hang on the wall for a colorful accent.